Southeast Asia has long been a favourite travel destination. For many years a rising number of travellers have been eager to take advantage of the region’s splendid scenery and the disposition of its friendly locals. 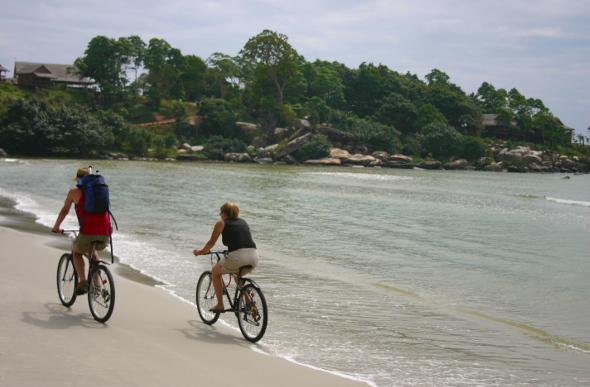 Increasingly those travellers are turning to cycling tours as an astute way to explore the Southeast-Asian countryside, with Cambodia, Laos and Vietnam all offering ideal landscapes and countless towns and villages to explore en route. Nestled in the heart of Southeast Asia, Cambodia is not only one of the region’s most popular destinations, it’s also one of the most pleasant to negotiate by bicycle. These days cycling tours of the Cambodian countryside are as ubiquitous as Angkor Wat souvenirs and the sprawling temple complex itself is a popular place to explore using pedal power. Most of the temples are within easy reach on the back of a bicycle, and it’s common to see groups of cheerful cyclists casually pedalling their way along the perimeter of the vast complex. Long in the shadow of neighbours Cambodia and Vietnam, laidback Laos is an ideal place for a cycling holiday. 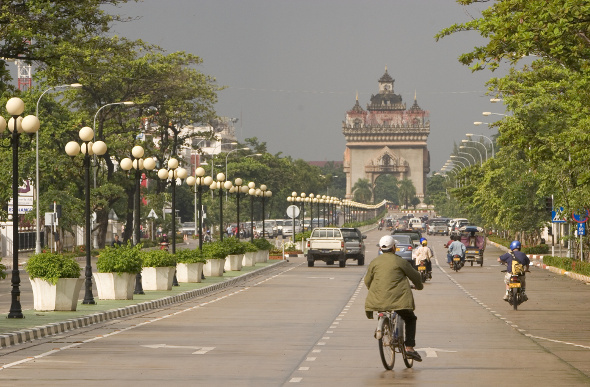 With its vast expanse of Mekong flatlands, a chic and cosmopolitan capital in Vientiane and the scenic rural surrounds of the north enrapturing at every turn, an increasing number of local operators are offering guided bicycle tours of this Southeast Asian delight. Renowned for its languid pace and laidback locals, Laos lets you take a step back in time and explore resplendent countryside in a manner reminiscent of days gone by. Vietnam is one of Southeast Asia’s most attractive destinations, owing in large part to its diverse scenery, absorbing history and tasty local cuisine. Cycling tours are an increasingly popular way to explore this fascinating nation, from half-day tours on the outskirts of bustling Hanoi to longer trips between picturesque Hoi An and ancient capital Hue, guided tours criss-cross the country across a stunning variety of landscapes. 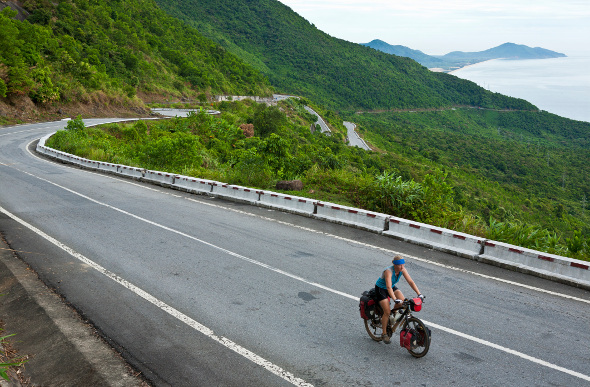 Marvel in Vietnam’s exotic mix of indigenous culture and French influences from the comfort of a padded bicycle seat.